Acupuncture has been known and used in Japan, China and India since the Stone Age. It is an ancient healing art that uses fingers to gradually apply pressure to key healing points that stimulate the body’s natural curative abilities. Stimulating these points can actually correct imbalances in the flow of qi or ‘life energy’ through channels (pathways for life energy) known as meridians. The cornea and iris to the liver. 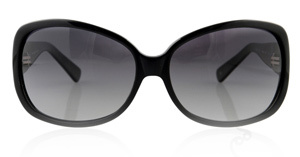 B 1 is at the side of the nose next to the inner corner of the eye. B 2 is on the forehead in the depression at the inner end of the eyebrow. 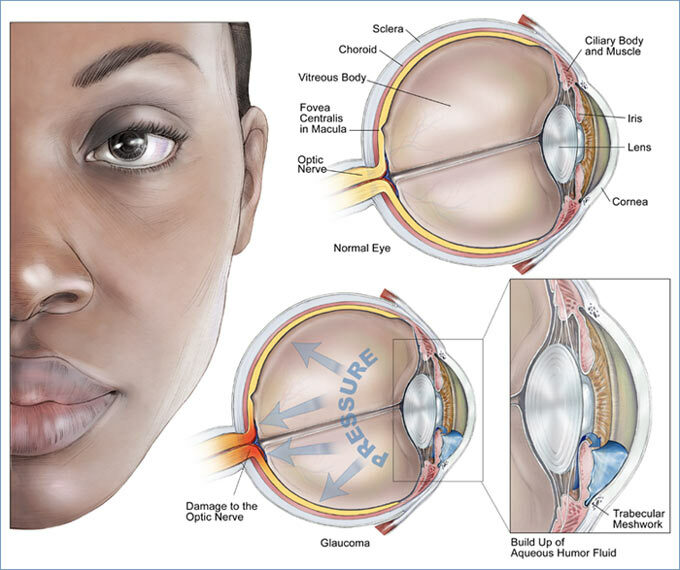 These points are helpful for correcting blurred vision, early stage cataracts, conjunctivitis and glaucoma. The Yuyao point is in a depression in the middle of the eyebrow, good for correcting eye problems associated with worry and mental strain. Sanjiao is in the depression at the outer end of the eyebrow, good for correcting eye and facial problems. GB 1 is in the eye socket, next to the outside corner of the eye, good for correcting blurred vision, early stage cataracts, conjunctivitis, dry eyes, headaches, itchy eyes and photophobia. ST 1 is on the ridge bone of the eye socket, directly below the pupil and a main point for correcting eye problems. Qiuhou is on the eye socket between ST 1 and GB 1. Eye diseases such as optic neuritis, optic atrophy, pigmentary degeneration of the retina, glaucoma, early stage of cataract, myopia are linked with this area. Gently massage the points around the eyes for 5 to 10 seconds. Start with B 1 at the inner corner of the eye and gently massage the point for approximately 5 to 10 seconds. Then gently massage B 2 and continue massaging each eye acupressure point. You can massage the points near each eye individually or both of your eyes at the same time. Repeat this massage as many times as you want to throughout the day. Keep BREATHING as you massage. Practice long, slow abdominal breathing while massaging the acupressure points. 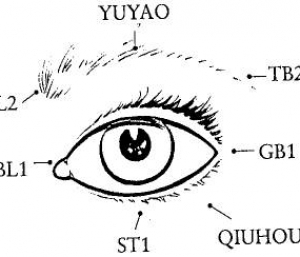 Become familiar with the location of the acupressure eye points. Remember to use gentle pressure with eye acupressure points. Use either the tip of your middle finger or the knuckle of the same finger. CAUTION: If you are pregnant or unsure of the method, consult a trained acupuncturist before treating yourself. Do not attempt acupressure on an area if it has a scar, burn or an infection.